Greetings in the name of our Lord and Saviour Jesus Christ. I am grateful that you are taking time to read my report on how God is working in our ministry his wonders to perform. 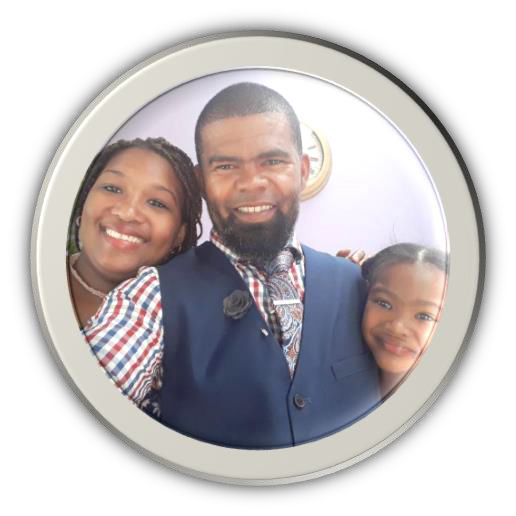 I am pleased to say that the Lord has dealt bountifully with his servants and has carried us as a family from day to day. In my last communication, I informed you that me and Jenna lost a child due to a miscarriage. Believe me: At the moment, we are standing in wonder at the wisdom of the Lord as Jenna learned that a close friend of hers suffered seven miscarriages. She could comfort this lady with the comfort that we were comforted by! Learning this really showed us that God is an all-wise God and has allowed us to go through this and be comforted by him so we could be able to comfort others and point them to God. The loss of our baby has been the greatest and most painful trial that we have faced as a married couple, but this seems to turn out as the greatest time of God’s comfort and care for us. Thank you so much for your prayers and encouragements. So, what is currently happening? 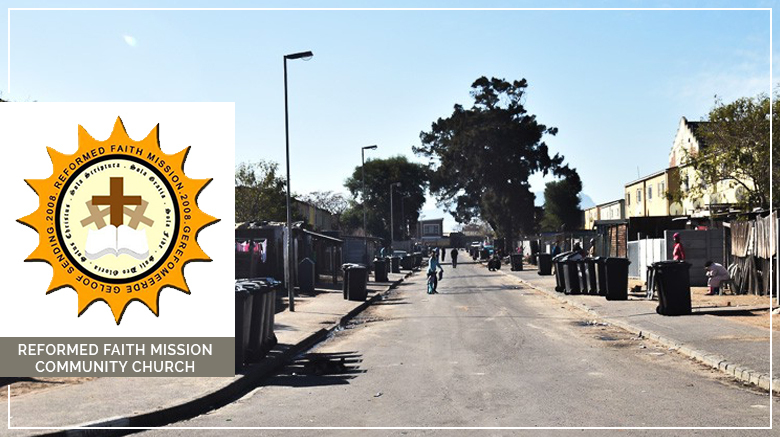 The month of February, as per our church tradition, marks our month of corporate evangelism where the whole church partakes in door-to-door and open-air preaching. We had blessed time in the Lord and the Lord worked with us in the preaching of the gospel. We went out for two weeks going from door to door, or most times from group to group of people who were just hanging out, interrupting them with the good news of the gospel. 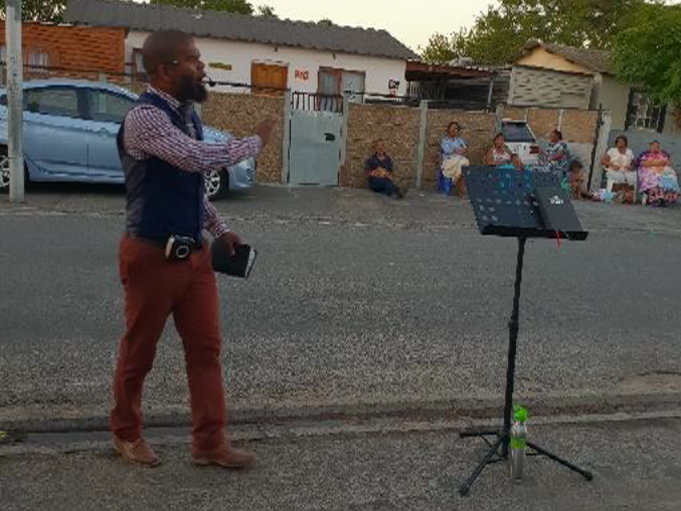 It was amazing how, in certain parts of Bellville South, God gave us people who were open to hear more about God and his Christ. Some openly admitted that they know nothing about Jesus and that “it’s just not my thing” but yet wanted to know more. On few occasions, while talking to some youth and explaining what God has done through Christ, I saw eyes of young men filling up with tears being convicted over their sins—yet failing to repent. I trust God that precious seeds were planted. Our open airs were well-attended and the gospel was preached to the poor. Most evenings, people would come out for prayer and we would give them the gospel once again before praying for their needs, making sure they know that they need Christ more than what they are trusting him for. So, after our two weeks of door-to-door and two weeks of open-air preaching, we followed up with house services at the homes of some who came for prayer during the month. Last week in particular, we went to the home of Gert and Suzette. They are an unmarried couple who are living together. Both came for prayer the previous week. 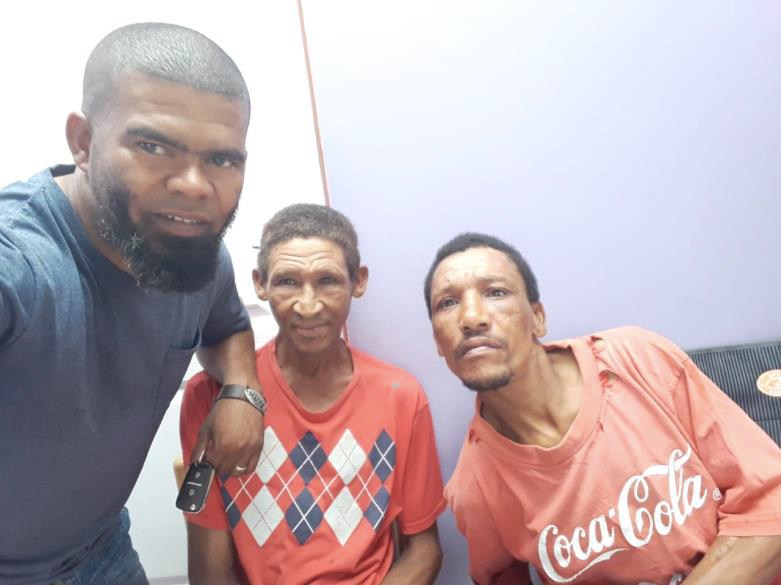 With them at the house service was a lady named Zelda and a gentlemen named Cyril—nicknamed “Sir.” I preached the gospel once again, pleading that they should make right with God by calling on his Son and repenting of their sin. At the end of the service they asked for prayer and I asked them what they wanted the Lord to do for them. Gert said he wants to make right with God. I went down the row asking each of them. Suzette and Zelda both wanted needs to be satisfied, so I asked them to their face, “So you do not want Jesus, you just want what you can get out of him?” Their answer was, “Yes, we don’t want to be saved, we just want what we need now.” Wow! I had to be clear for their sake, and for my understanding, so I asked the question again. To my regret, they fully understood me and the same answer was repeated: “Yes, we don’t want to be saved, we just want what we need now.” That really broke my heart. However, the following day, Cyril and Gert came to see me. We had breakfast together, I shared the gospel, and also answered some question on what Christianity really is and what it means to be a child of God. Please pray for our gatherings that we are planning to have in the future and that they will make good on their promise to attend church with us. Some feedback on the gathering with men in the community. Randall started working again, for which we thank the Lord. This, however, makes it difficult for him to attend the gathering. While the other men also attend at least once a week we try to put in and use our time properly. I have men popping in by me every now and then to discuss the Bible. I trust God to use this to establish trusted relationships in which I can be of eternal benefit. Pray that the Lord will help me to manage my time in a God-glorifying way. Pray for the men I am meeting with weekly (for salvation). Please pray that God will save Cyril, Zelda, Suzette, and Gert. Pray for our ministry: that we will live lives worthy of the gospel. Pray for our work here: that the Lord will give us fruit that will last. Thank you for taking time to read this brief report.